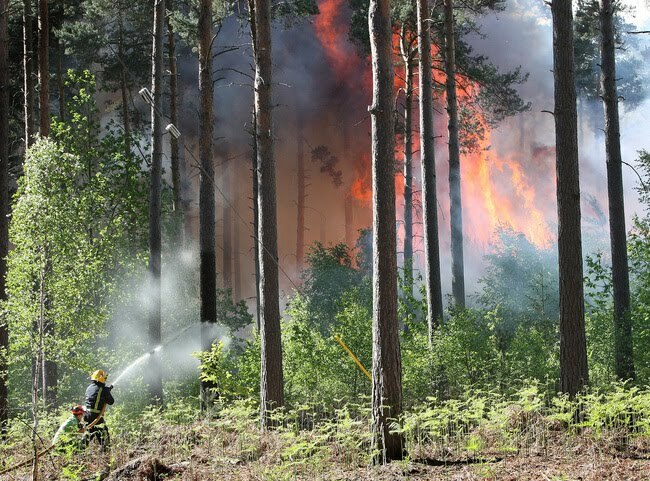 On Saturday afternoon on April 31st a forest fire was started in Swinely forest in south Ascot near Bracknell and Crowthorne. 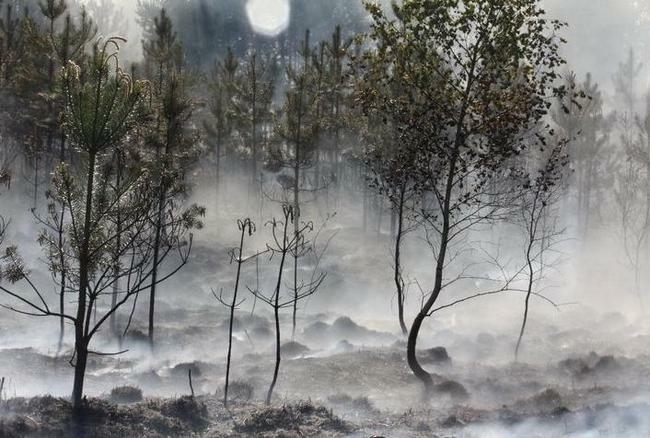 Arson is suspect of the fire that quickly spread to an area of about 20 acres, burning through the undergrowth and up pine trees as well as spreading through the peat under the ground. Crews from Bracknell and Wokingham Fire Stations as well as four stations in Reading have been fighting all week, with specialists support from Hampshire and Maidenhead. Families along Woodlands Ride at the edge of the forest were given only 10 minutes to evacuate their homes and have not returned yet, schools closed and the local area is in a general upheaval. 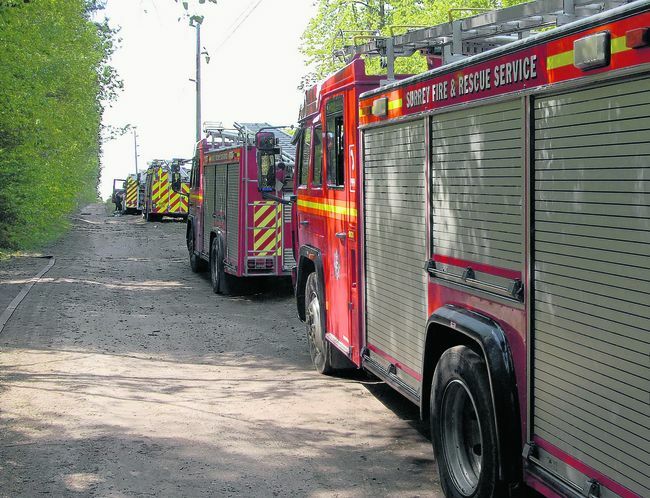 The local community has pulled together to support the rescue workers, of which include 350 fire-fighters from more than 40 crews working around the clock. 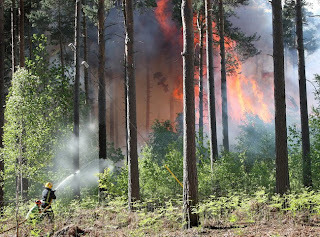 By Friday - 6 days after it started - the hard working crews are still damping down pockets of flame but the fire seems to be under control and nearing its end. 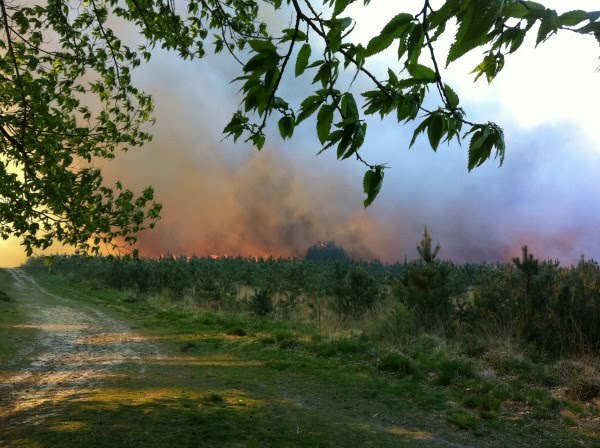 Traffic in the area has ground to halt, with several major roads closed and the smoke is affecting homes and towns in a 40mile radius. The environmental effect of this catastrophic fire is currently immeasurable, the forest will take decades to recover. Please follow my links to full reports on this fire - I will be keeping a close eye on local news of the drama unfolding in our home town. My husband David worked all over Easter and the numerous bank holidays over may day and the royal wedding, so he now has 10days leave to make up for it. This week we've been working at home, doing big spring chores and generally taking long lunches and walks with the dog. We live in the beautiful countryside and since being married generally we eat al fresco in the garden or have a BBQ instead of my old favourite; the picnic, so as treat David planned one for us this Friday. We bought some treats and packed a lunch but Dave wouldn't let on where we were going so I didn't know what to wear - shorts for the beach or sturdy shoes for hiking? The only clue was we couldn't take the dog, even on the morning as we got ready to leave I still couldn't guess where we might go . . . . in till he said "I can't tell you cause you will get over excited" he was right and I knew at once we were going to the Zoo! We spent all day walking around Colchester Zoo, we saw lions who were so much bigger than expected, tigers who were prowling much like our own panther Bagheera, and I got to fed my all time favourite: giraffes ^_^ We saw wild looking wolves (not unlike our GSD, one was wagging his tail hehe) big African elephants, endangered our Amur leopards, apes as big as orang-utans and monkeys as tiny as baby tamerins - I thought they were all great! By far the cutest were the red pandas, such sweet faces and their behaviour reminded of cats, I just wanted to cuddle them ^_^ It was a beautifully sunny, its been grey all week and will be raining this weekend and I caught the sun on my face. 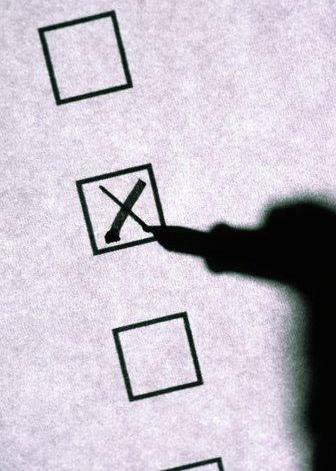 This new way of voting has confused many voters and frightened others. The old school guys say that AV will be too expensive, that it will let more "extremist" parties into or government or that its complexity will scare away voters who don't understand. 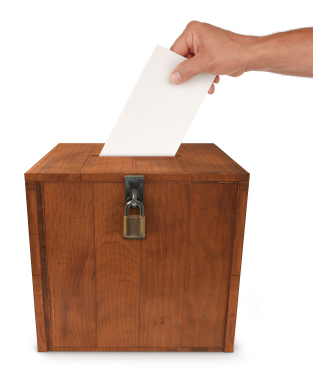 The pro AV folks say it will mean an end to tactical voting (wanting to vote for the small guy but forced to vote for the your least disliked big man.) and will give those small guys more of a fair chance at the MP seats. If you still unclear about the changes a great website for the pros and cons for both FPP and AV can be found here.